Wafubeh! Good talent is never hard to find when sincerity is part of the picture. Recently, I had a chance to chat with a very inspiring actor about the challenges that come when trying to perfect your craft as an artist, life, and lessons learned along the way. I hope you find our conversation as worthy as it is legendary. The legendary actor Alfredo Trueba talks about his life’s vision. Warlock Asylum: Thanks for taking the time to chat with us and share some of your experiences. It is truly an honor! However, for some of our visitors who may not be familiar with your work, please introduce yourself. Who is Alfredo Trueba? Alfredo Trueba: For sure, my pleasure! Well, I am a film, television, voice over, and commercial actor, originally from Mexico City, now based in Los Angeles. I’ve been passionate about acting and entertainment from a very young age. I was always putting on shows for friends and family. As I grew older, I started doing theater and musicals and eventually made my way to NYU’s Tisch School of the Arts where I received an acting BFA. I’ve been acting professionally ever since. Warlock Asylum: What inspired you to pursue acting as a career? 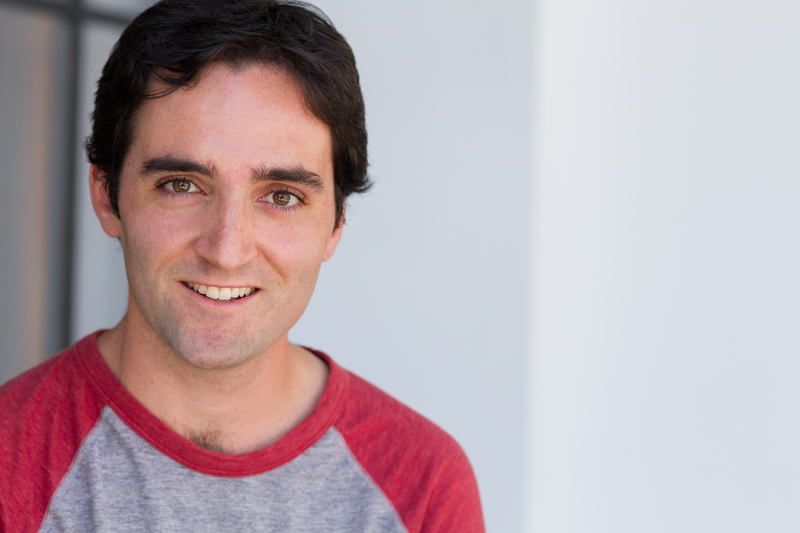 Alfredo Trueba: I’ve always wanted to be an actor in a way. When I was a child I wanted to be a singer, then a magician. I just wanted to be on stage! At school, I took every performing arts class offered. I started doing musicals professionally, and then it came to mind, “this could be my life!” At the age of 17, I began an intensive summer program at the Boston University Summer Theatre Institute. It was a six-week taste of the conservatory acting experience. I knew it was what I wanted to do for the rest of my life. I knew that I wanted to be in a US conservatory program, and the rest is history. Warlock Asylum: How did growing up in Mexico City affect your outlook on life and charisma as an actor? Alfredo Trueba: I think it affected it tremendously. I think in every audition room, production meeting, rehearsal, or job, I bring a different point of view and outlook on life. Diversity is a wonderful thing and in professional circles, it really made me stand out. And it’s not just because I am bilingual and can speak both languages with native proficiency. but because I know that I am a part of two cultures simultaneously. Its life experience, and as an actor the more life experience you have the more material you have to pull from. All your feelings and experiences go into your toolbox for a time that you might need to revisit them. Warlock Asylum: What were some of the obstacles that you had to overcome to make your work as an actor possible? Alfredo Trueba: Moving away from friends and family in Mexico City was, and continues to be, very hard. But part of having success is being where the opportunities exist. That’s just the way it is. I was also diagnosed with Type 1 diabetes just a couple of weeks before moving to New York. So as I began my training as an actor, I was also learning to live with this chronic condition. And as much as I love acting, the life of an actor can be very unpredictable at times, which makes planning and executing a healthy lifestyle difficult. But its part of what I’ve been able to do, and whether on set, rehearsing or in downtime, I continue to try to get better at managing it. Warlock Asylum: How was your time at New York University’s Tisch School of the Arts? 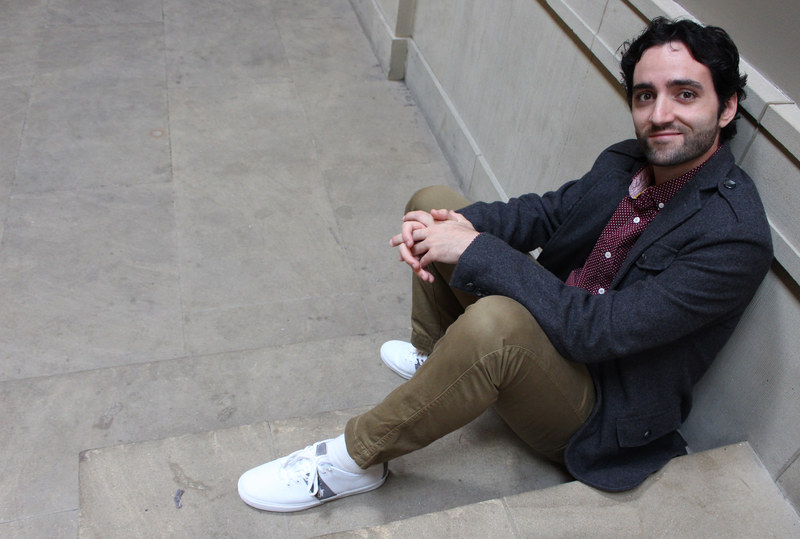 Alfredo Trueba: I get asked a lot about my time there. Honestly, it was some of the best and hardest years of my life. You are surrounded by talent, which is amazing, but intimidating as well. It’s a difficult program, which leads to a lot of soul-searching and questioning. “Is this the life for me?” Ultimately, it was great training! It was the experience I needed both personally and academically. It exposed me to so much art and culture around New York City that it led to my growth as a person and as an artist, which is more than I could have asked for. It also doesn’t hurt that you also get to work with some of the best in the business. Warlock Asylum: It’s really good to see that you are getting a lot of work as an actor. Can you name a few of the projects that you really had an exceptional time working on, and why? Also, how did you enjoy your role as the “Beast” in Beauty and the Beast? Alfredo Trueba: Showception was incredibly fun! I knew Chris Modoono and Gil Zabarsky’s script was going to be funny. I saw their short Teacher of the Year on Funny or Die, which was a jury nominated short of theirs at the Tribeca Film Festival. After that Fox Digital gave them money to turn it into a feature, Tenured, which also played at Tribeca with Kate Flannery (The Office). It was hilarious! From the auditions to the table read, to the last day of production, it was just non-stop laughter. I was playing the lead romantic storyline as a pretty dorky cinematographer, who falls for a director of one of the competing film productions. I end up getting my heart-broken on camera, at sunset, it was the perfect set-up and punchline. It was also my first time in Los Angeles, and after the three-week shoot, I was sold. I moved out there six months later. Liberty Falls was also an exceptional time, particularly because we were able to rehearse for a couple of weeks with Adam Pfleghaar, our director, before we shot anything. Funny enough, I was also playing a cinematographer of sorts. This time a cinematographer whose partner discovers, and with my help leaks, some implicating evidence on the President, which means we get arrested by the FBI. And that was a ton of fun because we had an expert on the set telling our actors how to enter and “contain” the situation. My character is live streaming the whole thing. It was just the drama and chaos of action films that I’ve always loved to watch. It felt very real and very exciting. 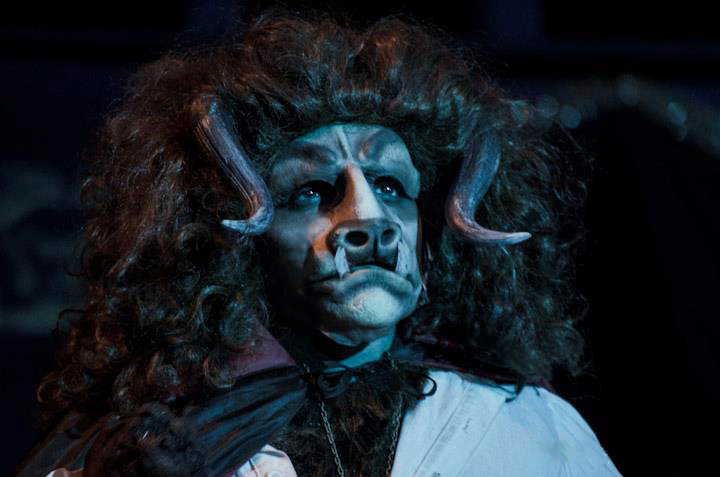 Alfredo Trueba in Beauty and the Beast. Playing the Beast was a ton of fun. I’m a very physical actor. I was jumping up and down our castle. I was growling and climbing and just doing a bunch of things to get the character across. I was wearing a full-on fur suit and all kinds of make-up and prosthetics, which was a new challenge. But, one thing I remember about all the musicals I’ve participated in, the rehearsals are so intense with choreography, singing, and blocking. It never ends. You just become a giant family with the entire cast and crew. I also had one of the most profound experiences with the Beast. After one of our sold-out performances, a woman came up to me outside the stage door. She was just balling her eyes out, thanking me for my performance, and telling me how much she just wanted to hug the Beast. And at the time I was exhausted! I had just finished singing and climbing and sweating my way through two performances that day. Its one of those experiences that whenever I’m feeling negatively towards acting, or am feeling uninspired, that moment plays in my head and I remember why I do what I do. It’s a role I’ll definitely remember forever. Warlock Asylum: Recently, you’ve joined the ranks of Hispanic Organization of Latin Actors or HOLA. Do you think that Latin actors/actresses are getting more work in the field? What are some of the challenges that members of this community had to face over the years? Alfredo Trueba: It’s tough! On the one hand you see Gael García Bernal in the Emmys for Mozart in the Jungle and Diego Luna in Rogue One: A Star Wars Story, and it’s easy to forget that despite Latinos being the biggest movie-goers in the country and nearly 18 percent of the population, Hispanic or Latino actors hold about 5.8% of speaking roles in film and television! I was pretty shocked to hear that from the National Hispanic Media Coalition (NHMC) President Alex Nogales when I was a part of the Latino Scene Showcase that they put together with the Latino Theater Company. And yet I do think there are starting to appear more roles, better roles; you see it with Karla Souza on How to Get Away with Murder, with the success of shows like Jane the Virgin, One Day at a Time, and of course Narcos, though the latter is still in an area of misrepresentation for Latinos that feeds into the drugs and violence stereotypes. That’s exactly the challenge that members of this community face. It’s a question perception, of being stereotyped as the drug lord, the criminal, when there are so many Latino’s who are just hard-working people. That’s why we need more representation that includes the law student or the single mom, Army veteran, nurse, taking care of her Cuban-American family, or the successful orchestra conductor. These are not the Latino narrative and story we’ve been accustomed. Yet, it could and should be! Even when people look at me a lot of the times they say, “Oh, you don’t look Latino,” but I am! What must a Latino look like to be cast as a Latino, you know? And I believe strongly in this change that needs to come to this industry, for all minorities, not just Latinos. Warlock Asylum: Can you share with us one of the delightful lessons you have learned so far in your career? Alfredo Trueba: Delightful Lessons. Well, I think one of the biggest has been the generosity of other actors and artists. I think the perception of actors as divas, not being down to earth, and etc, is totally wrong. And I’m sure there are people in Hollywood that have earned those reputations, but most actors are totally human and great at connecting with other people! I’ve also learned to be patient with myself and not to put myself down. This was especially true with Betrayed which I shot for Investigation Discovery. I was playing a real-life person, Robert “Carl” Paiva, and the casting directors had included his picture with the sides. I took a risk and dressed exactly like him. I went to Marshalls and got a tie that looked like it was from the 70’s. I shaved my beard to resemble the way he had his mustache. I gave a great audition but heard nothing. I called my agent and still no news. I had to move on, but it’s so hard when you feel like the part is yours to lose! It was a great episode! Of course a month later you get the call you were expecting. The production team just moved the start date back. The whole time you spent doubting yourself or feeling silly for the risks you took was for nothing. In reality, the process of making a film and television has so many moving parts that it’s really not about you. Even when you are not cast in a role, the decision will come down to the smallest factors, like an actor’s height or whatever. It’s out of the actor’s control and you just can’t take it personally. All you can do is give it your best shot each and every time. Warlock Asylum: What can we expect to hear of Alfredo Trueba in the near future? Any final thoughts? Alfredo Trueba: Many good things! I’m hoping you hear more about Showception in the future, as its being auctioned off and accepted into more festivals. You’ll hear about me directing my first short film, which I’m stoked about!That will happen in my hometown of Mexico City. A new Boost Mobile commercial I’m in just came out, so that has been the gift that keeps on giving. And I have a couple of cool projects lined up and in development, which I will post about as soon as the “red tape” clears. One in particular, very close to my heart as it involves soccer. I played soccer for 14 years in Mexico. The release of this project should come on the heels of next year’s World Cup. I’m very excited about this. But for now, working hard and enjoying life is a constant goal. Thanks for talking with me!